The information contained in your email account, bank account, or credit card account can be very valuable to a hacker. But people are more protective of their data now than they have been in the past, so it’s become more difficult for hackers to steal login information for important accounts. One of the methods that can be used is to create a fake website that looks like a real one. The hacker or scammer will then attempt to get you to visit that site and put in your login information, which they will then steal and use to log into the real site. Fortunately the Safari browser on your iPhone has some protection against this activity, in the form of a Fraudulent Website warning. Our guide below will show you where to find and enable this setting so that you can gain some protection from these malicious phishing sites. The steps in this article were performed on an iPhone 7 Plus in iOS 10.3.3. 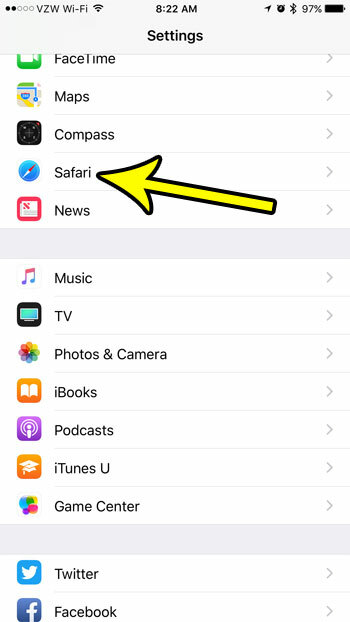 This is going to enable a setting in the Safari browser on your iPhone that will alert you if your phone thinks that you are on a phishing website, which is pretending to be a different website in an effort to steal your information. Step 2: Select the Safari option. 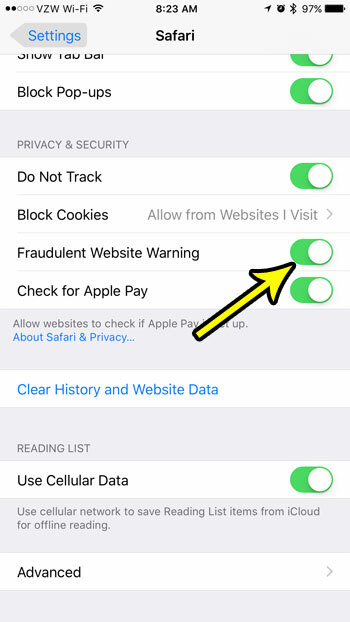 Step 3: Scroll down to the Privacy & Security section, then tap the button to the right of Fraudulent Website Warning to turn it on. 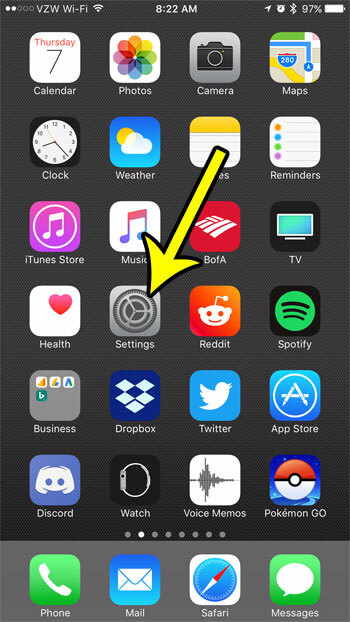 There will be green shading around the button when the setting is enabled. It is turned on in the picture above. Note that this fraudulent website warning will only be enabled for the Safari browser. If you are using a different browser on your iPhone, such as Firefox or Chrome, then this will not affect those browsers. Has your iPhone’s storage filled up to the point that you are no longer able to download new apps, record videos, or download files? Find out about some ways to increase your available storage so that you can continue using your iPhone in the manner that you want.